We are all created to have hair on our head and we all take pride in our hair especially when we have a head full of healthy hair. The condition of our hair reflects our health and well-being. 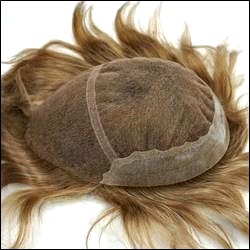 When we are ill and in poor health, our hair will start to lose its shine, looks dull and unhealthy too. As we grow older, some of us tend to lose more than the normal amount of hair, probably due to aging or changing of hormones. It is true for both genders but for the men, the problem of thinning or baldness is more common. Some problem are temporary and with treatment, the hair will grow back. But for the majority, the thinning or baldness cannot be reversed. They can either accept their fate or search for other alternatives. I know of a middle aged man who is bald at the crown. He has only one daughter who is very dear to his heart.. He had always wanted the best for his daughter and for her wedding, he felt that he should do something about his baldness. He will be walking his little princess down the aisle of the church on the wedding day. Without his wife and daughter’s knowledge, he quietly went to a hairstylist to find a solution. At the hair saloon, he was recommended the hair replacement systems. He wanted to look natural and at the same time feel comfortable with whatever he needed to wear. 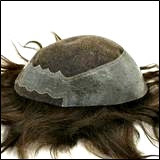 The hairstylist suggested two hair replacement systems: the lace hair replacement systems and the mono hair replacement systems. The hairstylist helped him find the right colour texture and match before styling the hair piece to suit him. Few days before the big day, the Father came home with a new hair style. His wife and daughter were taken by surprise when he appeared at the door. They almost couldn’t recognize him! In fact the wife and daughter liked his younger new look. He told them that the hairstylist suggested that the lace hair replacement systems will be the best choice. What the father did so touched the daughter that she was moved to tears. The wedding turned out to be one of the most beautiful and memorable day for the bride and groom and both their family.